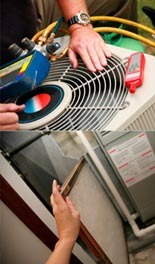 Change your A/C filter every 30 days. This can help your system run smoother and prevent costly repairs. Not sure about what filter to get, give us a call for expert advice. We are easy to reach either by phone or fill out the information on our Contact Us page. We check our messages often and will get right back with you in a jiffy!